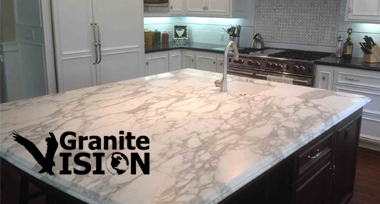 With 20 years of experience in the industry, we are a highly trained team ready to help you in all of your marble and granite needs. We will work with you every step of the way – maximizing the best results you can expect. 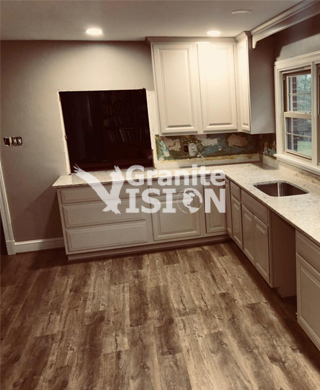 Ranging from the simplest kitchen top to the more sophisticated style, we will work with you, helping you achieve the best look for your project. 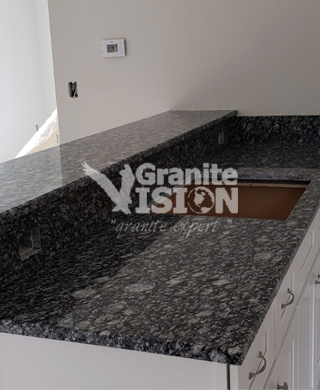 Granite vision offers the highest quality craftsmanship in fabrication and installation with the largest selection of some of the finest granite to choose from. With its large array of patterns and colors available they offer the look of natural stone without the to achieve that natural marble or granite look without the porosity or maintenance of the natural stones. Marble is a timeless look for those homeowners looking for the elegant white kitchen with soft veining, or for the finishing touch for any fireplace surround to add that touch of natural beauty. 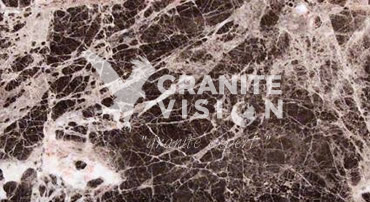 Caesarstone offers is among the leading manufactures of the quartz lines offered. With its assortment of colors to choose from with the options of polished, honed and now textured finishes. 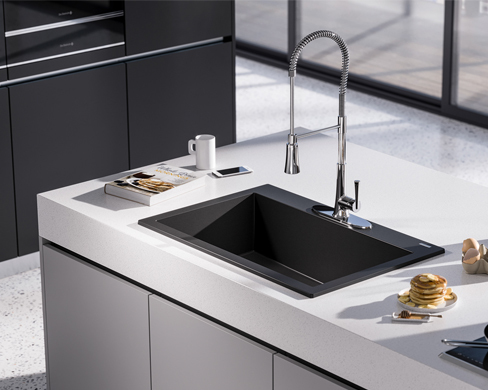 DuPont now offers their own cutting edge line of Quartz for residential and commercial applications. With is primary using being kitchen counter tops. 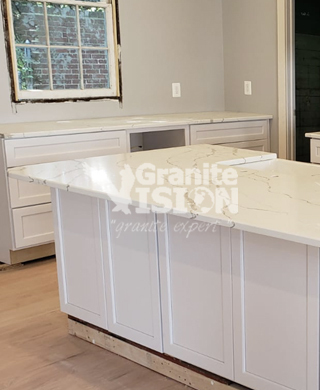 Silestone is one of the many manufactured quartz lines offered to achieve that natural marble or granite look without the porosity or maintenance of the natural stones. 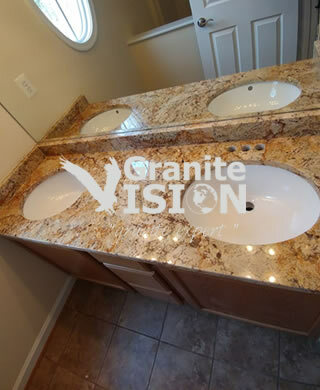 Joseph and Crystal made ordering granite countertop and sink with faucet an easy experience. They were friendly and took the time to explain the process and hear what was needed in my home. Delivery was as they promised. Installers were efficient and cleaned up quickly. I highly recommend them. Top notch company. Wife and I were looking for a granite remnant to place on a vanity. We were shown several and selected a nice piece at a reasonable price. 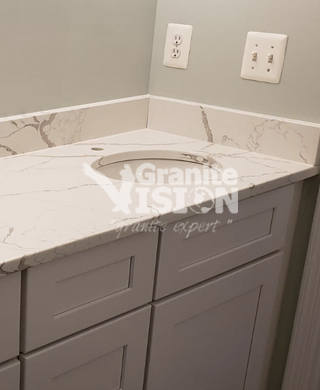 Cuts were perfect and we are very happy with how the vanity top turned out. 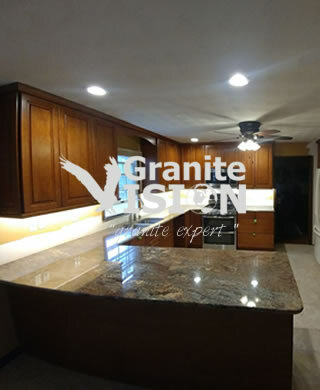 Definitely consider for your granite needs. 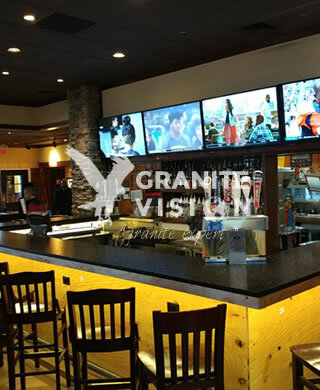 Granite Vision is a great company, staff were knowledgeable and delivered high quality services. Highly recommend them. 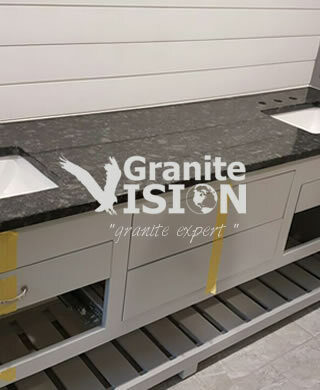 Granite was top quality , we initially had confusion over the design as it was first time for us, however we really liked the product after being installed for over 4 months . We worked with roni and he was very professional in explaining and suggesting good design. He suggested us vyara gold and after lot of discussions we liked his suggestion. Installation was neat and perfect. 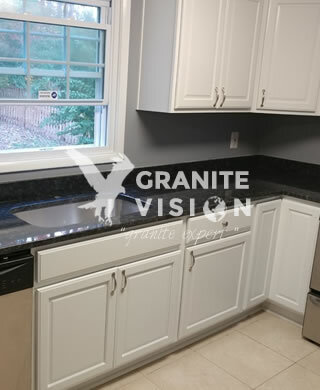 They have installed our kitchen granite in herndon. 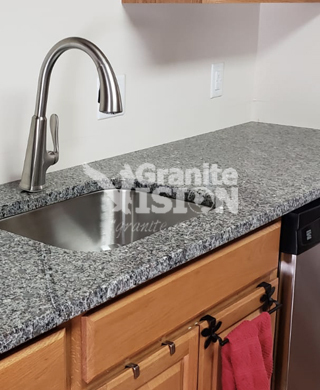 We love the granite after 3 months of use. Installation was professional and price was perfect. 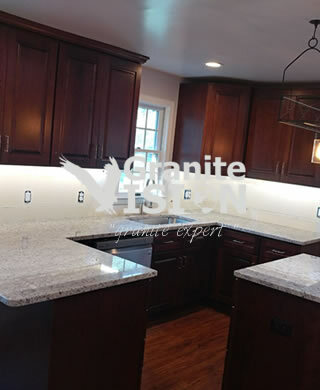 Granite Vision is the leader fabricator of customized kitchen countertop and granite decoration in Virginia. 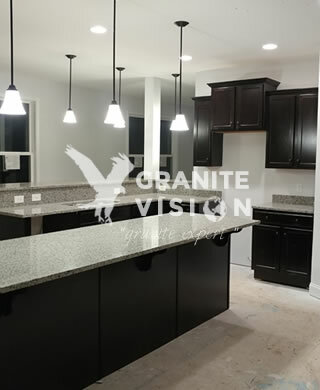 What distinguishes Granite Vision from its competitors is the expertise and excellent corporate services of its team. 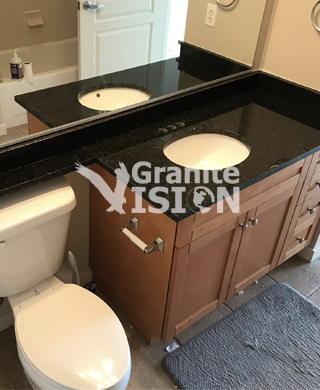 Aiming to provide professional services with its expert staff, the company offers affordable quality granites with wide color selections. 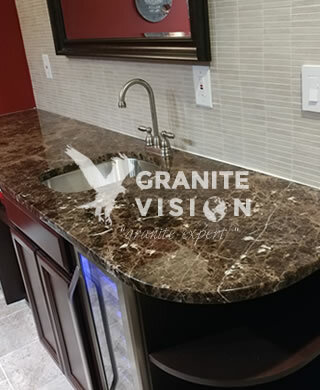 Granite Vision has three different showrooms located in Woodbridge Virginia, Fredericksburg Virginia and Ashburn Virginia covering all northern Virginia and DC. 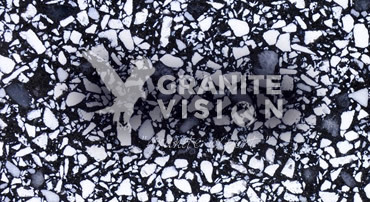 Granit Vision is the best granite design company in Virginia with a growing network of sales. Members of the team are all experienced professionals who are anxious to deliver best results with innovative approach to design process. The expertise and the corporate know-how of the company is submitted generously in favor of clients. The three showrooms, located around Virginia, exhibits the best kitchen-bathroom designs and kitchen-bathroom countertop models. 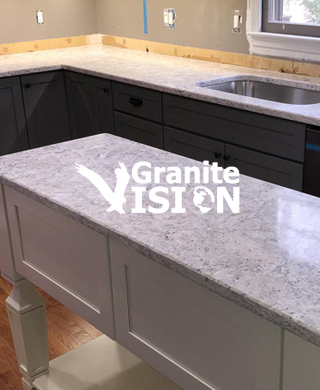 Based in Virginia, the team of professionals in Granite Vision is ready to help you in every step of your kitchen renovation projects. Our slab yard has rare and top quality materials which we use in our projects including beautiful quartz stones. 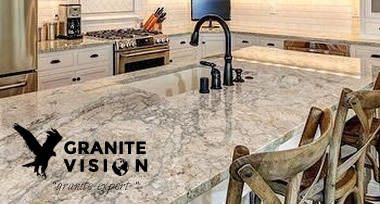 Also known as engineered stone, quartz is one of the hardest materials to mine on earth. 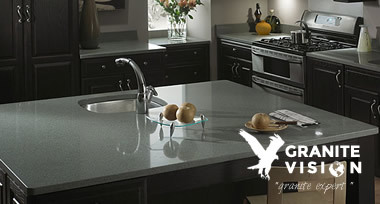 The durability of quartz makes it the most durable countertop option in kitchens. 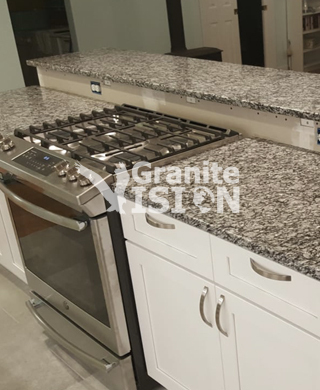 Other than its spectacular durability, quartz is also an eye-catching material which adds natural beauty to kitchen countertops. 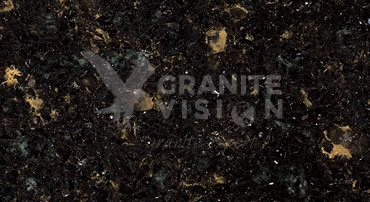 Quartz countertops are combined with resins and pigments. 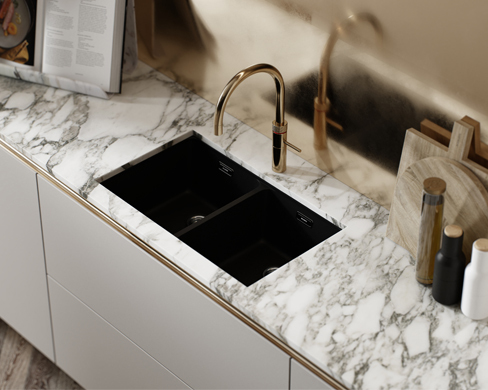 While pigments give color to quartz countertops and make them customizable, resins remove countertops’ porous state. 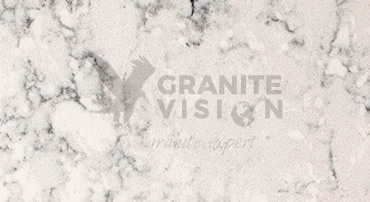 Granite Vision has more than 20 years of experience in all kinds of granite, marble and quartz countertops. 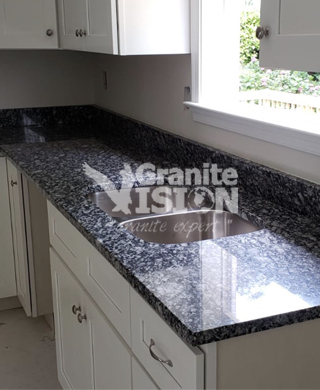 As one of the leading granite companies in Virginia, we constantly renew our stock with the newest designs. 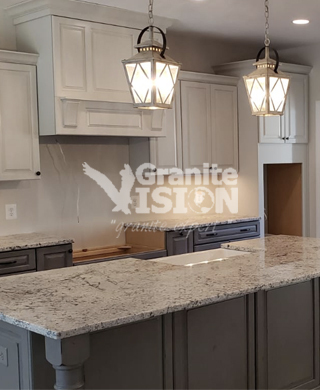 The skilled team of professionals in Granite Vision use top quality materials in every renovation project and make sure the customers are satisfied with the results. From manufacturing to installation, we will work with you in each step and help you achieve the kitchen of your dreams. 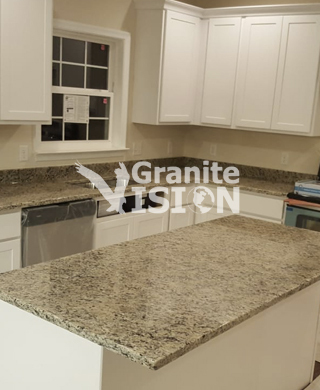 Most beautiful homes are equipped with granite countertops. In Virginia these homes are what one would describe as rustic with a quiet air of elegance. To match this classy exterior, most homes are furnished with items that denote a sense of being above standard without the air of snobbishness often associated with opulent homes. One way to achieve that quickly is to use building materials that are not what you would find in a normal home. These building materials are often exotic wood, polished stone and of course granite. The cool feel of granite and its quiet, unobtrusive characteristics just makes it look posh and rich without trying too hard. 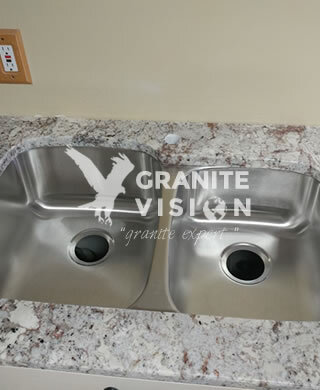 Using granite for your kitchen countertop or even your bathroom countertop, ensures that your bathroom vanity or kitchen island will look classy no matter how long you’ve had it in your home or the amount of abuse it receives from sharp objects resting on top of it to kids playing on it. 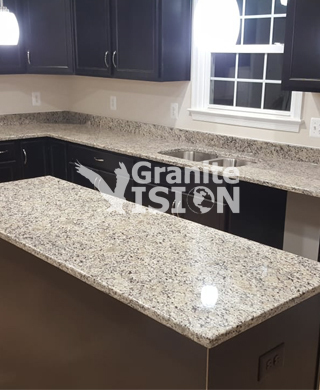 Used sparingly, granite can stand out and enhance the home’s feel without seeking too much attention. If used too much, you’ll have a home that will feel cold and unwelcoming. Get a good interior decorator who can tell you what will work and what won’t in your home before you make the actual purchase. This is a good thing since you wouldn’t want to be left with an item you’d regret buying in the first place. After all, granite is a very big and heavy purchase. Of course, you can opt to decorate your home more than with the usual granite countertop. 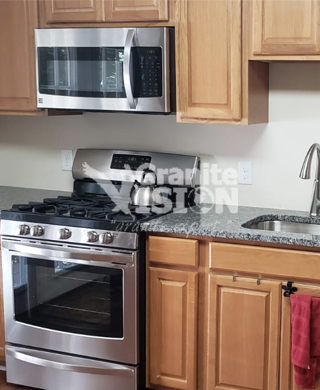 In fact, you can also choose from a wide variety of different materials like a marble countertop or a quartz countertop which is quite as classy and as elegant as the granite ones. And if you’re feeling adventurous, mix and match and you’ll have a nice combination of textures! Last but not least: Find a company which is also located conveniently in Virginia so you can rest assured that there will always be customer support nearby whenever you need it. It also helps if they have friendly staff members and technicians ready to lend a helping hand whenever you call for assistance. 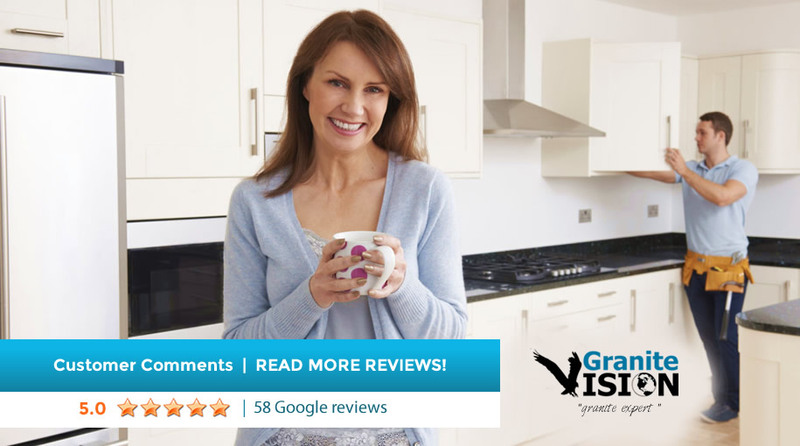 Base your decision on the number of positive reviews they’ve received from their clients, find out if they’re happy with the service. 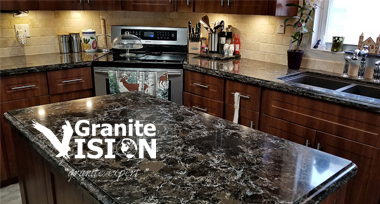 Who knows, maybe after you get your granite countertop virginia from them, you just might add one more positive vote of confidence for their excellent service! 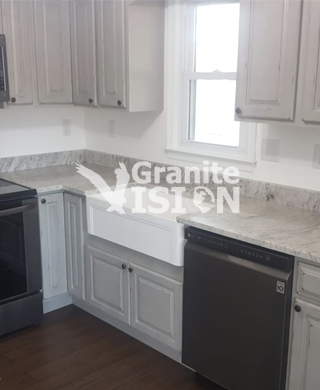 Ranging from the simplest kitchen top to the more sophisticated style, we will work with you, helping you achieve the best look for your project. We prioritize excellence in our service. 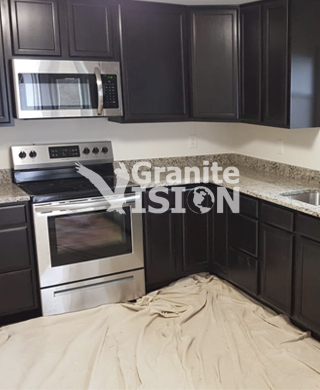 When you choose Granite Vision, Inc. you will have peace of mind – knowing that you are hiring the best professionals in the industry who will deliver the product in a most expeditious way, and will give a fair market value of service, making available to you a quality service with an affordable price. 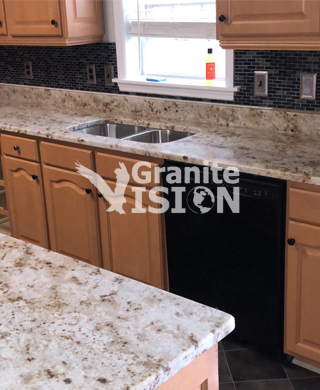 Granite Vision located in Virginia, serves its customers the best quality products, with fair and affordable values. 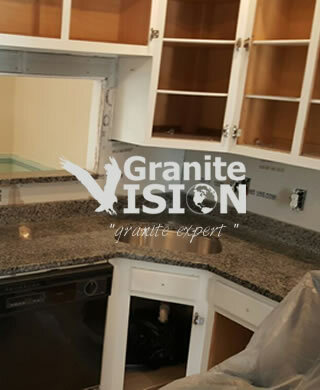 The company fabricates, desings, installs, repairs and replaces granite countertops for kitchen and bathrooms. It delivers its services not only to homeowners but to cantractors as well as to small businesses such as; cafes, restuarants, bars and spas. Well trained, professional team of its own, helps customers to maximize the benefits and results of their orders. 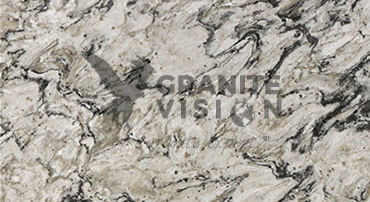 Granite Vision, delivers its customers fine quality marble countertops and slabs in Virginia. The vision of the company requires; offering clients the highest quality craftsmanship, design consultation and build a strong customer service in the business. 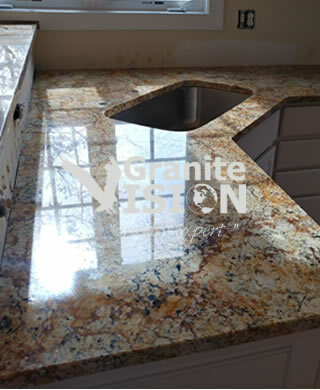 Fine quality marbles of Brazil, Italy and Spain are selected carefully and examined rigorously before being imported by the expert team of Granite Vision. 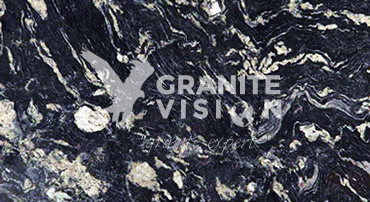 Granite Vision is a company working to satisfy your needs for a new and better interior design. The company is based in Virginia, USA. 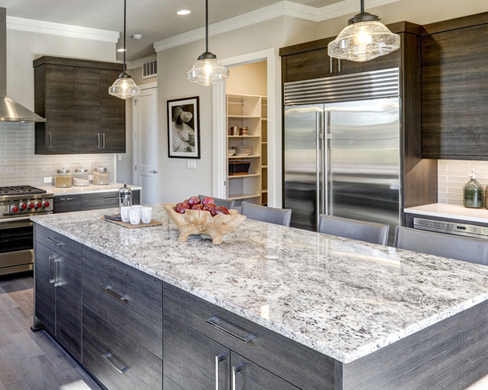 You can get the best countertops to create a fresh look for your kitchen or bathroom. 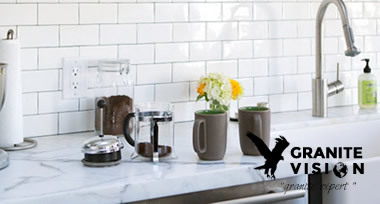 Countertops can also be used for places such as bars, cafes or lobbies. All products have high quality, affordable prices and interesting design. 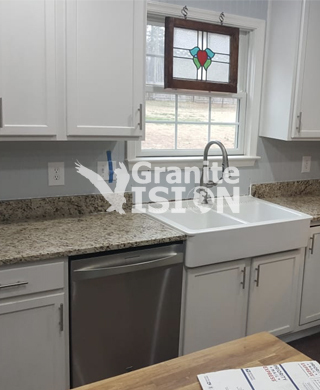 Granite Vision provides top quality rare granite products suitable for both residential and commercial properties in Fairfax, Virginia. 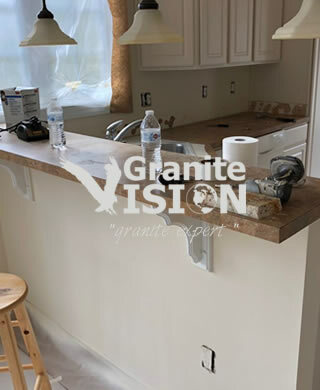 Our team of professionals is ready to help you in the fabrication and installation of the countertop design of your choice. 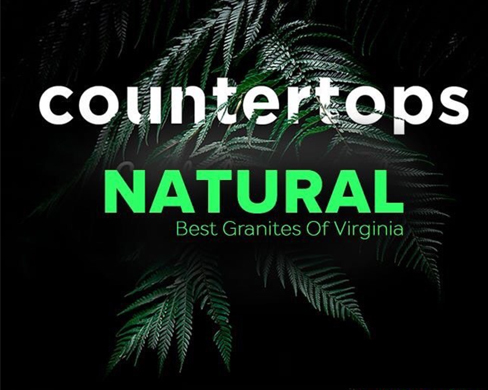 As one of the leading granite companies in Virginia, we strive to help our customers create the kitchen of their dreams with our budget-friendly countertops. 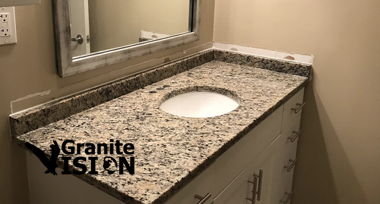 With 20 years of experience in the industry, we are a highly trained team ready to help you in all of your marble and granite needs. We will work with you every step of the way – maximizing the best results you can expect. 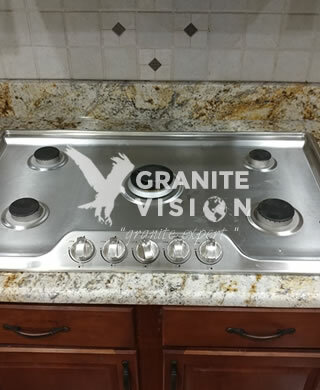 Copyright © Granite Vision 2018. All rights reserved.